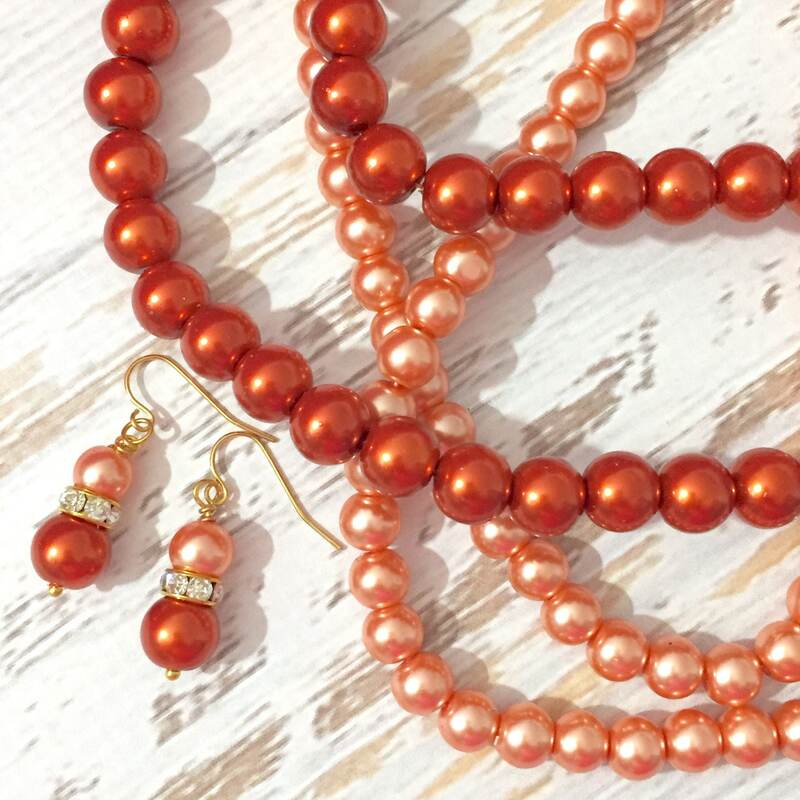 Simple and pretty earrings made with peach glass pearls, orange glass pearls, and gold rimmed rhinestone beads. 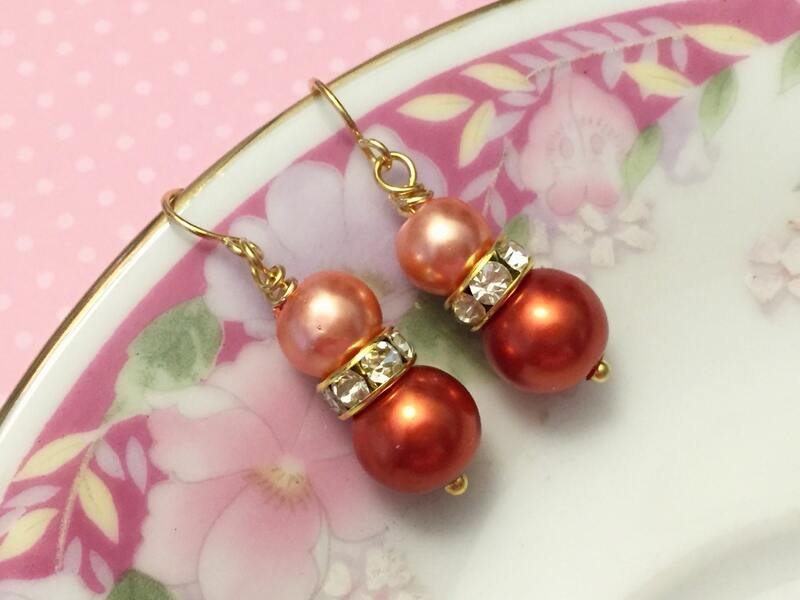 These dangle just over 1.25 inches (3.2 cm) from the top of the ear wire to the bottom. These are MADE TO ORDER so I can make them with silver toned rhinestones and findings. You will be prompted to make your choice at checkout.